Octavia Spencer attends the 91st Annual Academy Awards at Hollywood and Highland on February 24, 2019 in Hollywood, California. Octavia Spencer paired her dress with a black velvet clutch by Tyler Ellis. 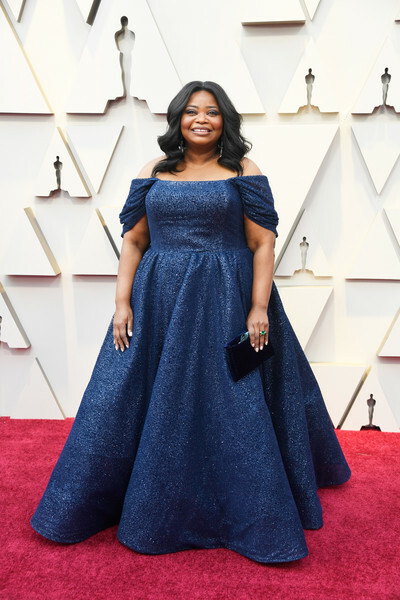 Octavia Spencer looked like royalty in a navy off-the-shoulder ballgown by Christian Siriano at the 2019 Oscars.